All too often, biblical and theological doctrines have been displaced, discarded, or forgotten in favor of therapeutic, relational, or managerial knowledge drawn less from the canonical Scriptures than from the canon of contemporary popular culture. The Kantzer Lectures address the crisis of theology in the church. In particular, they confront the powerful, and not entirely unwarranted, prejudice that theology is irrelevant and unrelated to real life. They do this by showing how the knowledge of God derived from revealed theology is indeed practical. The special focus of the Kantzer Lectures is on the development of doctrine from Scripture and on the ways in which doctrine gives rise to the lived knowledge of God. Given the increasingly complex world in which the church now lives, there is nothing more practical, yet elusive, than Christian wisdom. Hence the aim of the lectures is not to add to the church’s stock of information – who, what, where – but rather to the church’s wisdom and understanding, and hence to the church’s witness and well-being. Revealed theology deals not with arcane or obsolete knowledge.Revealed theology deals not with arcane or obsolete knowledge. Theology is no trivial pursuit. On the contrary, as both Calvin and Kantzer insist, the knowledge of God is intrinsically linked with self-knowledge and with knowing how to live well to God’s glory. If evangelical theology has a constructive contribution to make to the contemporary church, it is its passion to root Christian thinking and living in the realities of the gospel of Jesus Christ. To focus on revealed theology is not to bury our heads in ancient Palestinian sand, however, but rather to approach our era’s most pressing challenges with the resources of Trinitarian faith. The Kantzer Lectures provide a platform for this kind of Christian thinking, featuring prominent theologians committed to the project of faith seeking understanding, and to making this understanding practical. Hence the remit of the Kantzer Lectures in Revealed Theology: get wisdom; get understanding; get the mind of Christ. The Kantzer Lectures in Revealed Theology are intended to be the evangelical equivalent of the celebrated Gifford Lectures in natural theology. 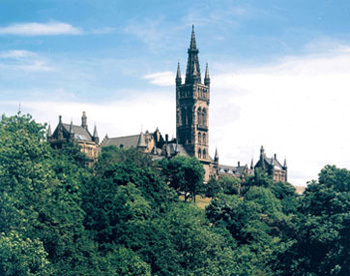 The Gifford Lectures were established in 1885 by a generous provision in Adam Lord Gifford’s will in which he stipulated that the lectures be held alternately at each of the four universities of Scotland. While agreeing with Lord Gifford’s premise that all people should benefit from the knowledge of God that “lies at the root of well-being,” the Kantzer Lectures begin where the Gifford Lectures leave off: with a sustained focus on the knowledge of God located in God’s Word, on the self-presentation of the triune God in the history of redemption, and on its scriptural attestation that culminates in the person and history of Jesus Christ. Douglas Sweeney is the Chair of the Church History Department, Professor of Church History, and Director of the Jonathan Edwards Center. His areas of expertise include Jonathan Edwards, the history of theology, and American church history. Dr. Sweeney has written numerous books and articles, including The American Evangelical Story: A History of the Movement (Baker Academic, 2005) and Jonathan Edwards and the Ministry of the Word (InverVarsity Press, 2009). Kevin Vanhoozer is the Research Professor of Systematic Theology. Widely published, some of his more prominent books include Is There a Meaning in this Text? The Bible, the Reader, and the Morality of Literary Knowledge (Zondervan, 1998), The Drama of Doctrine: A Canonical-Linguistic Approach to Christian Theology (Westminster John Knox, 2005; Christianity Today Best Theology Book of the Year, 2006), and Dictionary for Theological Interpretation of the Bible (Baker, 2005).